A surveillance video was critical in helping authorities file assault charges recently against two Philadelphia police officers accused of brutally beating a city man and then falsifying their arrest reports. "What they did was totally inappropriate, totally improper [and] totally in violation of any policy, any training, anything," Police Commissioner Charles Ramsey said during a news conference Thursday. Two New Mexico officers face charges in death of homeless man. Daughter of police chief charged in gay couple's beating. In May 2013, according to authorities, Najee Rivera, 23, was pulled over by Officers Sean McKnight and Kevin Robinson around 10 p.m. for not stopping at a stop sign. When Rivera tried to drive off, authorities said, the officers allegedly knocked him off the motor scooter he was riding. In their reports, McKnight and Robinson said Rivera had resisted arrest and tried to remove one of the officers' batons. Rivera suffered a fractured orbital bone and lacerations to his head. 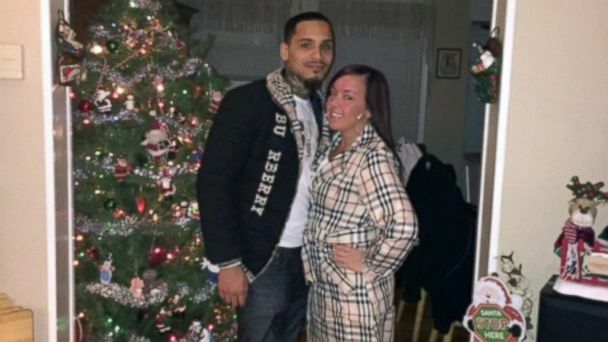 Rivera's girlfriend Dina Scannapieco said she searched the neighborhood for evidence after the arrest, hoping to find a business that may have caught the incident on tape. Leon Flynn, Rivera's lawyer, said Scannapieco had shown "teeth and aggression" when seeking out a video. "I think she believes in (Rivera)," Flynn said. "She's a supporter. She loves this young guy." Scannapieco eventually found a surveillance tape. "The video undermined every aspect of the officers' account of the incident," said District Attorney Seth Williams during a news conference Thursday. "They hit him in the head. He fell off his scooter. He was writhing in pain and they started beating him. End of story." McKnight and Robinson now face multiple charges of assault and filing false reports. They were suspended from the police force and are pleading not guilty to the assault charges. Lawyers for the officers said today that they were just doing their job. "It's unfortunate that these two young men, the police officers, have lost their jobs [and] been charged with crimes for simply doing their jobs," Fortunato Perri said today. "We're looking to see to it that each of these officers are acquitted," Brian McMonagle said today. "These are young men who have no history of doing anything but the right thing." Charges against Rivera were eventually dropped and he settled a lawsuit against the city for $200,000.